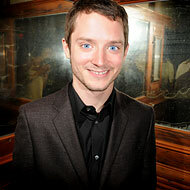 Elijah Wood has signed on to headline Wilfred, a comedy pilot for FX, his first-ever TV show. The premise? Wood will play the owner of an anthropomorphic dog who’s “part Labrador Retriever and part Russell Crowe on a bender.” Delightfully, the dog will be played a human actor wearing a dog suit — Jason Gann who created and starred in the same-named Australian series from which Wilfred is adapted. Some kind person has uploaded a montage of the original Wilfred’s finest moments and, hey, this looks pretty great to us.